In late September, Michael Monroe posed proudly on the steps of the Orleans Parish Criminal District Court with his lawyer Professor Katherine Mattes. The culmination of 11 years of work, conducted by 22 Tulane Criminal Justice Clinic students, Monroe was finally free. “He is so ecstatic and grateful – he wants to have a barbeque and invite all of the students who have helped with his case over the years,” said Mattes. Monroe was one of more than 200 people affected by the particularly severe Habitual Offender sentencing laws in effect from 1995 to 2001. After a third felony conviction for a non-violent crime, he was sentenced to mandatory life in prison without parole, spending nearly 20 years in the Louisiana State Penitentiary at Angola. These are the cases on the Criminal Justice Clinic’s docket – the most egregious examples of why criminal justice reforms are needed. Although the clinic focuses on representing criminal defendants at every stage of the litigation process – through trial, appellate, and post-conviction phases in state and federal courts – students are also challenged to consider how client advocacy allows, and perhaps even requires, work outside of the courts. They often try to address systemic barriers indigent clients face when attempting to obtain fair trials and sentences. After years of unsuccessful litigation, Monroe benefitted from the work of students who drafted and advocated for the passage of 2016’s Act 469 – making him and others in similar circumstances eligible for parole. Mattes, who has taught in Tulane’s Criminal Justice Clinic since 2002, is a leading voice in efforts to reshape the criminal justice system in a state that until recently held the highest incarceration rate in the country. Mattes guided students in the post-Katrina era, when the criminal justice system broke down. The flooded courthouse was closed for months, court records were not available, evidence was underwater, witnesses had scattered, and the indigent defense system was broken. Tulane’s Criminal Clinic along with Loyola Criminal Law Clinic were appointed to represent the more than 8,000 indigent defendants who had been incarcerated in Orleans Parish Prison and were now scattered across the state. 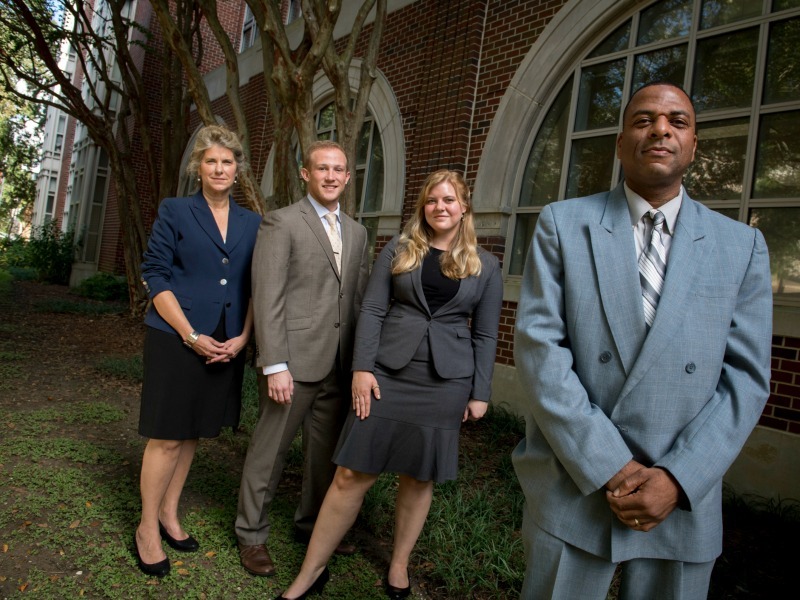 With the support of law student volunteers from the national Student Hurricane Network, the clinic undertook the task of locating defendants, securing the release of those over-incarcerated or never charged, documenting the destroyed evidence, challenging the constitutionality of the public defender funding system, which had proven completely inadequate, joining forces with others to rebuild New Orleans’ criminal justice system. The recognition that students needed to develop non-litigation skills alongside traditional skills compelled Mattes to broaden the clinic’s educational mission and ultimately change its name from simply “Criminal Clinic” to the “Criminal Justice Clinic” in 2017. The clinic prepares students for a legal landscape requiring a multi-faceted skill-set for effective lawyering. An example of the clinic’s expanded mission is its advocacy on behalf of juveniles sentenced to life without possibility for parole. Following the Supreme Court’s 2012 ruling that these mandatory sentences for juveniles were unconstitutional, the clinic advocated on behalf of clients in the Louisiana Supreme Court seeking new sentences under the ruling, strategized and testified for legislative reforms, and successfully petitioned the criminal courts for new sentences. This semester, clinic students have represented three clients in parole hearings who are eligible as a result of the clinic’s multi-dimensional lawyering efforts. All have been granted parole. One of them, Barry Williams, was released on parole in November after 41 years behind bars with the help of clinic student attorneys Colin Fitzpatrick and Ryan Niedermair. Mattes, who has represented him for six years, met him at the gates of Angola prison because "after 41 years, there should be someone you know waiting for you," she said. Williams, a 'juvenile lifer', hugs Mattes the day he was released. Mattes, who has led the clinic since 2007, has served on eight task forces, working groups, and boards, bringing students along to witness and participate in extra-litigation advocacy. She frequently testifies before Louisiana’s legislature and has delivered lectures and presentations to judges, lawyers, and police departments. Mattes, who is an adjunct professor of the practice in Tulane’s Department of Psychiatry and Behavioral Sciences, has collaborated for over a decade with the Forensic Psychiatry Department, teaching both forensic psychiatry fellows and law students through an annual mock trial program. This year, the state legislature has commissioned a study group to conduct a statewide review of laws governing mental competency to stand trial. Mattes, a member of the study group, will work with her students to contribute to the final report. When examining the work of the clinic and its students, there is a clear emphasis on serving clients who have been left behind: Juveniles sentenced to life in prison; habitual offenders sentenced to life without the possibility of parole – even for nonviolent offenses; persons incarcerated without treatment despite having been found incompetent to stand trial; and clients whose trials did not permit the entry of mitigating evidence of domestic abuse. Students also are fortunate to draw on the additional expertise of a former assistant district attorney, veteran criminal defense lawyer, and part-time Clinical Instructor Sheila Myers, who has supervised students in a range of matters since 2001. Myers recently supervised students in a case involving a client who had been in and out of custody for most of his life, until a recent three-year period of successful community life. Despite the client’s reforms, he faced an old charge that might have resulted in a life sentence because it was his fourth offense. Students spent a year advocating for the client, demonstrating his sobriety and productivity, which resulted in a suspended sentence without jail time. Lafontant and Ruston Pritchard (L'18) at the La. 4th Circuit. Fundamentally, the Clinic challenges students not only to learn the law, but also to find the emotional core of the case, develop a theme, and use both facts and the law to advocate for a client. Whether representing clients who were mere teenagers when sentenced to life, were found incompetent due to mental illness, or who experienced extreme trauma because of domestic abuse, understanding the life story of each individual is critical. The Women’s Prison Project – a collaboration with Professor Becki Kondkar of the Domestic Violence Clinic – is a clear example of this emotional work. "Our legal system does not provide meaningful opportunities for a defendant to introduce mitigating evidence of domestic abuse,” Mattes said. Students from both the Domestic Violence and Criminal Justice Clinics participate in joint lectures, prison visits, client interviews, and pardon and parole hearings, training and advocating for incarcerated women convicted of crimes relating to their abuse. These diverse learning experiences have prepared Criminal Justice Clinic graduates to become insightful public defenders, private criminal defense attorneys, prosecutors, immigration lawyers, partners in multinational law firms, judicial law clerks, clinical law professors, and more. Clinic graduates also include the founder and subsequent director of the Innocence Project New Orleans. Drew Lafontant (L’18), who argued and won an appeal on a client’s right to testify, underscores the clinic’s impact.